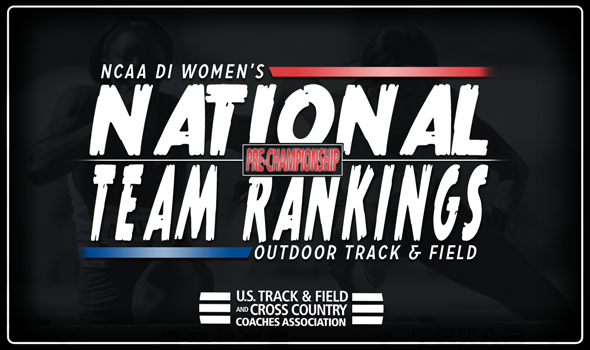 NEW ORLEANS – With the 2018 NCAA Division I Outdoor Track & Field Championships just a mere eight days away, a clearer picture as to who could be taking home the title this year on the women’s side has emerged with the newest round of National Team Rankings from the U.S. Track & Field and Cross Country Coaches Association (USTFCCCA). With the rankings being calculated this week solely using entries into the championships, Georgia will head to the Pacific Northwest as the top team in the land. The Bulldogs will have 13 entries into the championship meet with seven coming in sprints and hurdles events. Lynna Irby will lead that group into the meet with the top 200 time in the nation this year at 22.25. The Bulldogs also have five jumps entries, including Keturah Orji, who led the nation in the long jump and triple jump this year, and Tatiana Gusin, the national leader in the high jump. Georgia will have its work cut out for it if it hopes to bring home its first-ever outdoor title. Southern California ranks second, but is tied for the most entries in the meet with 19. The Women of Troy lead the way with 14 total entries into the sprints and hurdles and had eight marks in the top-10 of those events during the regular season. Kendall Ellis led the nation in the 400 this season. Joining Southern California with 19 entries is Oregon, which jumped two spots in the rankings to third. The Ducks are more well-rounded with entries in every category except combined events. Sabrina Southerland figures to score big for the Ducks as the top-seeded 800-meter runner. Kentucky also made a big push into the top-five, moving up three spots to fourth. The Wildcats will head to Eugene with 13 total entries that include the top hurdlers in the nation in Sydney McLaughlin (400 hurdles) and Jasmine Camacho-Quinn (100 hurdles), as well as the top 4×400 relay squad in NCAA Division I.
Rounding out the top-five was Florida, which also used a big boost to move up three spots in the rankings. The Gators are tied with SEC foes Georgia and Kentucky with 13 overall entries. Yanis David will compete in both the long jump and triple jump, as she was ranked in the top-three in the nation in both events during the regular season. The bottom half of the top-10 features teams from the SEC, Pac-12 and Big Ten. Texas A&M (sixth), LSU (seventh) and Stanford (eighth) all fell in the rankings from a week ago. The Aggies and Cardinal will both head north with 12 entries into the meet, while the Tigers own 11 entries. Arkansas remained in ninth place in the rankings with its 10 entries and Minnesota rounded out the top-10 with 14 entries.